Each year, billions of tonnes of goods traverse oceans on ships the size of warehouses. With the spread of globalisation, the volume of goods traded by sea has grown by 300 percent since the 1970s, according to the United Nations Conference on Trade and Development (UNCTAD). Today, ships carry more than 80 percent of all goods. While the global maritime industry is an invisible force for most of us, former UN Secretary-General Ban Ki-moon once called it the “backbone of global trade and the global economy”. And it is only getting bigger: UNCTAD predicted in 2017 that seaborne trade volumes would increase by around 3.2 percent each year until 2022. The shipping industry is vital to modern life, but it is also responsible for emitting around a billion tonnes of carbon dioxide (CO2) a year. 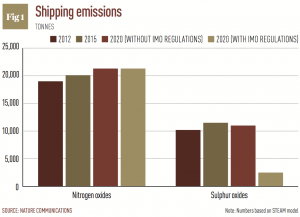 As part of the International Maritime Organisation’s (IMO) broader plan to clean up the industry in the coming decades, ships will be required to reduce their sulphur emissions by more than 80 percent from 2020. Changing the rules for a sector that guzzled half of the world’s total demand for fuel oil in 2017 will have a significant knock-on effect for the entire oil value chain, impacting everyone from truckers and airlines to ordinary consumers. The high-sulphur fuel used by most of the shipping industry is a thick, opaque substance that has long been under scrutiny by the IMO. This heavy bunker fuel is made from the dregs of the refining process and, when burned, it releases noxious gases and fine particles that damage the environment and degrade human health. Despite these side effects, it is widely used across the shipping industry. In 2016, global demand for high-sulphur fuels stood at around 70 percent of overall bunker fuels. The IMO has been regulating sulphur and nitrogen oxide (SOx and NOx) emissions from ships at sea since 1997. In 2012, the IMO significantly strengthened these requirements, capping the limit for sulphur in fuel oil at 3.5 percent. 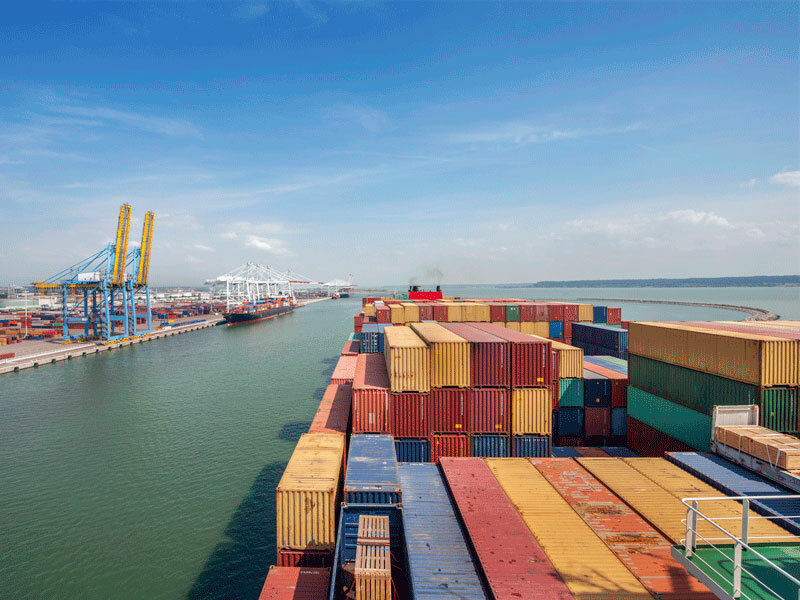 Now the organisation is going even further by limiting sulphur content to 0.5 percent from January 1, 2020, giving shippers limited time to make extensive operational changes. Full compliance with this regulation will cause dramatic changes from as early as mid-2019. Analysis by IHS Markit said the switch would result in a “period of huge upheaval in global oil markets, extraordinary margins for some oil refiners, and a potential doubling of fuel costs for shippers”. Consulting firm Wood Mackenzie estimated moving to lower-sulphur fuels could send shippers’ costs up by as much as $60bn in 2020. The refining industry, which produces the fuel oils used by shippers, will also take a hit from the IMO’s regulations. This will make it difficult for the industry to produce compliant products unless they raise prices, according to Rick Joswick, who is in charge of pricing and trade flow at S&P Global Platts Analytics. “[Refiners] have to take steps that are currently [uneconomical], and the only way that will happen is if the prices move to allow the refiners to do it and not lose money on it,” Joswick said. As the price of low-sulphur fuels such as marine gas oil spikes higher, so will diesel and jet fuel, ensuring the impact of the IMO’s regulation is felt far beyond the shipping and refining industries. For instance, the rise in the price of diesel means the cost of moving goods on trucks within a country will become more expensive. And because the price of jet fuel is so closely linked to that of gas oil, airline profits are also expected to come under pressure. This long chain of cause and effect could end up having a knock-on effect on the whole global economy. One energy economist told The Economist that the rising price of bunker fuel and the ripple effects that followed could potentially wipe 1.5 percent from global GDP in 2020. Shippers can comply with the sulphur regulations in a number of ways, and despite the anticipated price hikes, many are expected to switch to the low-sulphur fuels that are already common in emission-control areas. Alternatively, a vessel can continue to use heavy bunker fuel if it installs scrubbers, which capture harmful pollutants from exhaust gas. Although an upfront investment is required, these shippers will have the competitive advantage of being able to use cheaper high-sulphur fuels in the future. Energy company S&P Global Platts predicted a “vast amount” of excess heavy fuel oil would be available following the 2020 deadline. After the initial investment, Gelder found that ships with scrubbers can expect a rate of return of between 20 and 50 percent. Over the past six months, the number of companies looking to use scrubbers has accelerated. “I think more and more the shippers are saying scrubbers look like an economical choice that they can run with, as opposed to just trusting that the refining industry will be able to give them a product at a price they like,” Joswick said. Ships with scrubbers are still in the minority, though: as of August 2017, IHS Markit said about 360 ships had installed scrubbers, and by May 2018 that had risen to 494 vessels. This is out of a total of around 90,000 commercial vessels on the world’s seas. In the longer term, liquefied natural gas (LNG) is expected to become a more prominent part of the shipping sector’s fuel supply. LNG produces almost no SOx or particle matter emissions and generates about 90 percent less NOx, according to the OECD. Burning LNG also produces 20 to 25 percent less CO2, which the IMO is also looking to limit. Challenges remain around the infrastructure needed to support the use of LNG, however, and for the most part, its use is limited to new build vessels. Additionally, the vast majority of bunker fuel sales go to ships owned by the likes of ExxonMobil, Shell or Maersk – firms that are very unlikely to cheat the system. “It’s not in their interest. It’s not in their DNA,” said Joswick, who spent over 20 years in ExxonMobil’s refining business. Additional pressure has come from the insurance industry, which warned that shippers failing to use compliant fuels will be deemed unseaworthy, meaning the insurance provider would not be liable for any claim the owner makes. With no checks, Gelder would expect a global compliance rate of about 70 percent. Official layers of enforcement will likely contribute to an even higher rate of compliance. The country where a vessel is registered – otherwise known as its ‘flag country’ – has a responsibility to enforce the regulations, and a carriage ban enforced by port states will prohibit ships from carrying high-sulphur bunker fuels unless they have scrubbers. Ships will also be required to maintain electronic records of the fuels they purchase and use. From his experience at ExxonMobil, Joswick said ships are very unlikely to cheat knowing that they could be blacklisted from any future work with a big company. “You add up all these things, and I think you’re going to come up with a fairly high level of compliance,” Joswick said. Full compliance could be achieved in about four or five years, according to Gelder. Despite these pending costs, it is important not to lose sight of the benefits of the sulphur limit. In addition to causing acid rain and air pollution, SOx can damage people’s respiratory systems. When burned, the particles that are released can enter the bloodstream and damage the lungs and heart, leading to heart attacks, asthma and premature deaths. A 2018 study published in Nature Communications found the impact of the sulphur ban would be “substantial” (see Fig 1). Each year, exposure to emissions from the shipping industry resulted in about 400,000 premature deaths from lung cancer and cardiovascular disease, as well as around 14 million childhood asthma cases. If the industry complies with the requirement for lower-sulphur fuels, the number of premature deaths would fall by 150,000 and childhood asthma cases would drop by 7.6 million, the researchers found. To fix this loophole, limits must be imposed on oil refiners. “If you wanted to take sulphur out, the best place to take it out is in the refinery, but there’s no obligation on the refiners in this legislation,” Gelder said. Further muddying the waters is research from as far back as 2009, which shows that sulphur emissions actually have a net cooling effect on the planet. Sulphur emissions scatter sunlight in the atmosphere and help form or thicken clouds that reflect sunlight away. Although it is admirable that the IMO is pursuing such sizeable changes, this move will come with an equally substantial cost to the global economy. For this reason, the industry must be sure the most robust regulations possible are being implemented. Cutting sulphur will almost certainly prevent premature deaths and illnesses, but regulations must go further to ensure environmental benefits are equal to public health outcomes. Otherwise, the shipping sector risks only delaying sulphur’s chokehold on the planet.